Convenience, a two-time winner of the Vanity Handicap (gr. 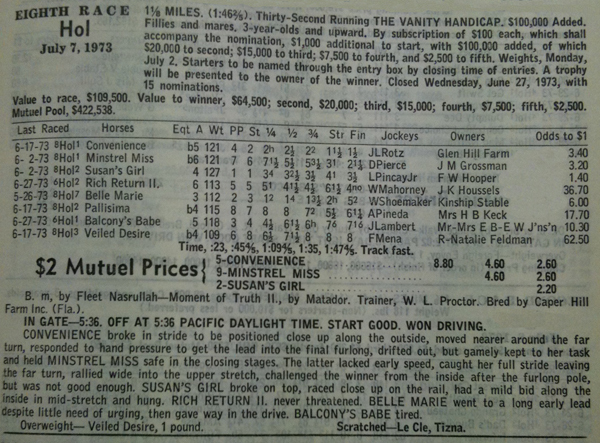 I) in 1972-73, is the third dam of this weekend's Obeah Stakes (gr. III) winner Miss Singhsix (by Singspiel). One day later, Zenyatta became the first mare to win three Vanity Handicaps.